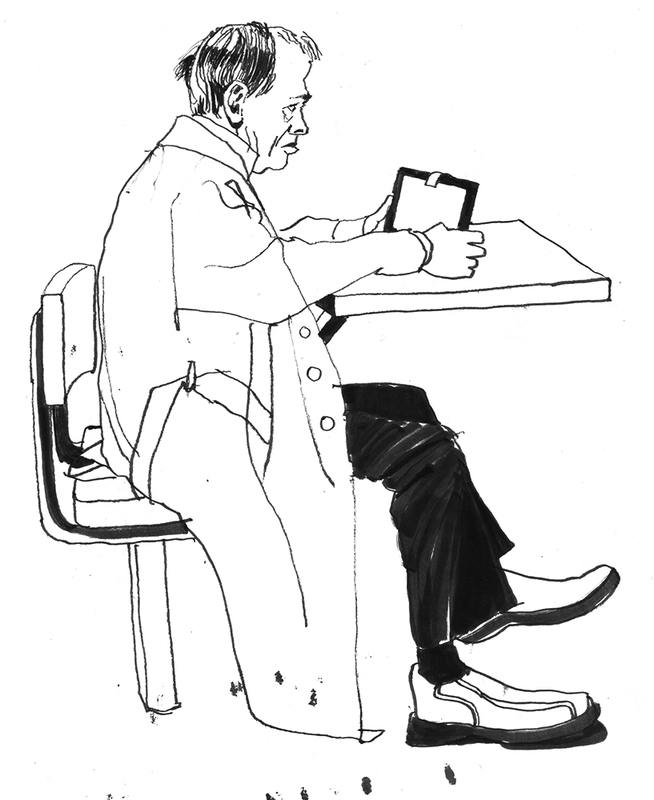 A lonely figure sketched in the Wi-Fi zone of a busy shopping mall. By the expression on his face, I imagine he’s catching up on world events: ISIS, Ebola, or climate change—there’s plenty of bad news to choose from, and it’s all just a fingertip away on your tablet screen. Simple and yet so expressive.